Romeo was diagnosed with trachea collapse in February this year and we started medications from the vet. He was doing a little better. 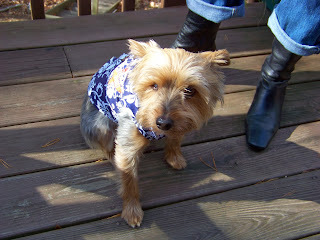 In May we had to rush him to the vet, because his trachea collapsed! Horrifying for us! Luckily they were able to get him out of trouble and told me I probably had a couple of weeks left with my Romeo. It still makes me cry. I immediately started searching on the internet looking for something to help him and that is how I found this wonderful company. The link took me directly to the Lung Qi Support and Hound Honey Phlegm Heat. I read reviews before I made my purchase and I am so thankful that I am getting my chance to tell you how wonderful these products are! Remember, the vet told me in May that Romeo only had a couple of weeks left, but now it is August and I took Romeo in for a well visit! The vet was so shocked to see him and to see how well he is doing! I brought the Lung Qi support and Hound Heat with me and the vet said it is obviously working for Romeo! He told me to keep using it! He does not cough as much and if he does cough the cough does not last too long. I truly believe that this product has given us more time with our sweet little Romeo! I wish I had found Pawhealer and their products sooner! Thank you Pawhealer for helping my little Romeo! Honking Cough corrected with Lung Qi Support - Kidney Yang when cough is wet type cough. My Tess is almost 100% better, the Honking cough she had was so bad at first and I didn't want to have her taking drugs to keep her calm from coughing. 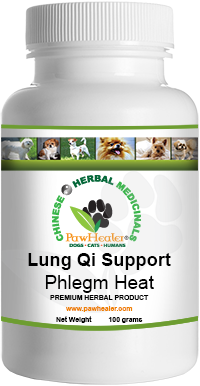 I than, started my research and came across Paw Healer and started her on the Lung Qi Support, this is now going on maybe 8 months. I can say "Thank you!!" for helping Tess and us (her Mom and Dad) she is almost honking free. These herbs are a miracle!! I am not sure what we would have done or our next steps if we had not found Paws Healer. All I can say a million times over "Thank you for healing my puppy and giving her re-leaf!" She can play hard again, not throw up and of course COUGH !! We are so glad and grateful to you. 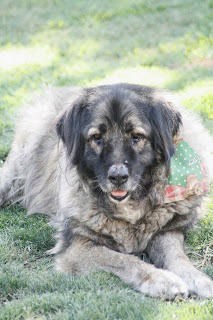 Help for Big Dogs that Cough! 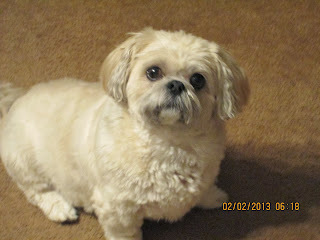 Thanks to Andrea T. for sharing Buddy's experience with PawHealer products. Many old dogs cough. Chinese herbal medicine explains this as a failure of yang to transform yin...yang failing to transform substance, thus arises turbid yin...also known as phlegm. 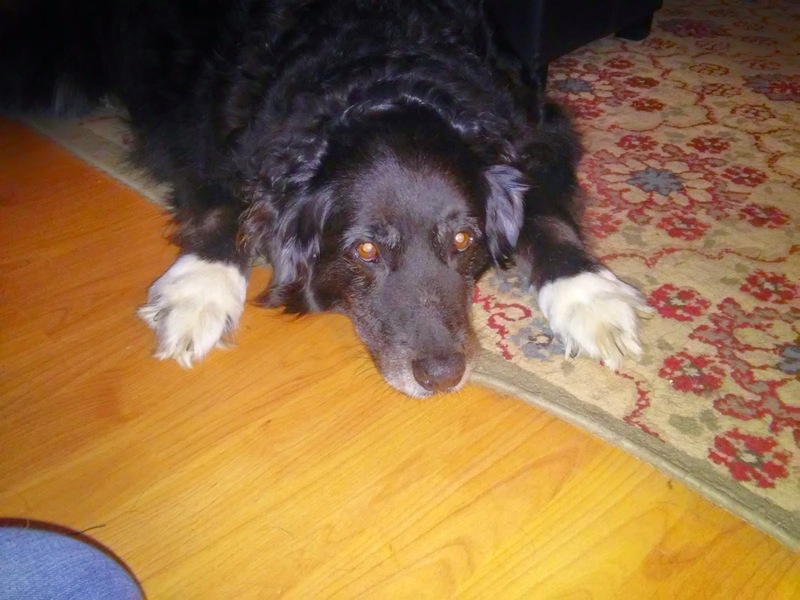 "My 14 year old border collie/Australian Shepard, Buddy would cough all night and it wore him out and he wouldn't be as playful the next day but since finding paw healer and trying their products he now sleeps pretty much thru the night and plays like a puppy the next day. 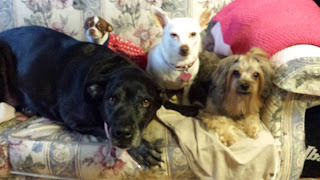 I recommend paw healer to all my friends"
Frankie's Trachea Cough...Doing so much better.. 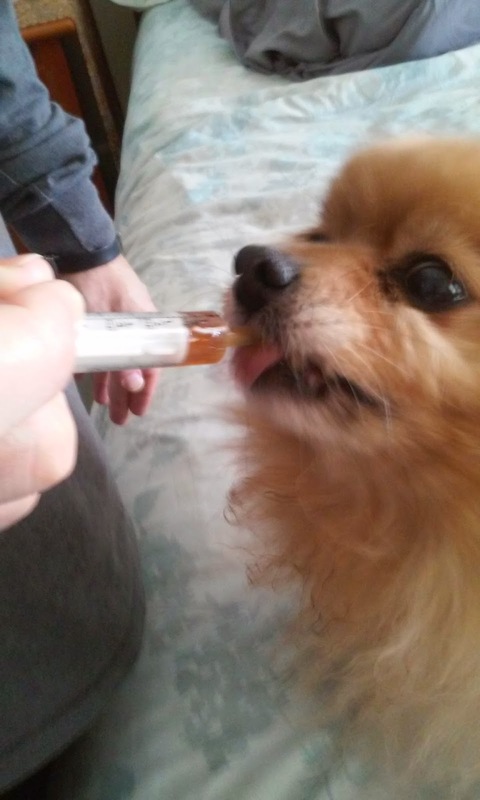 Thanks to Anmarie M. for sharing this cute picture of Frankie taking a taste of Hound Honey Syrup for dogs that cough! 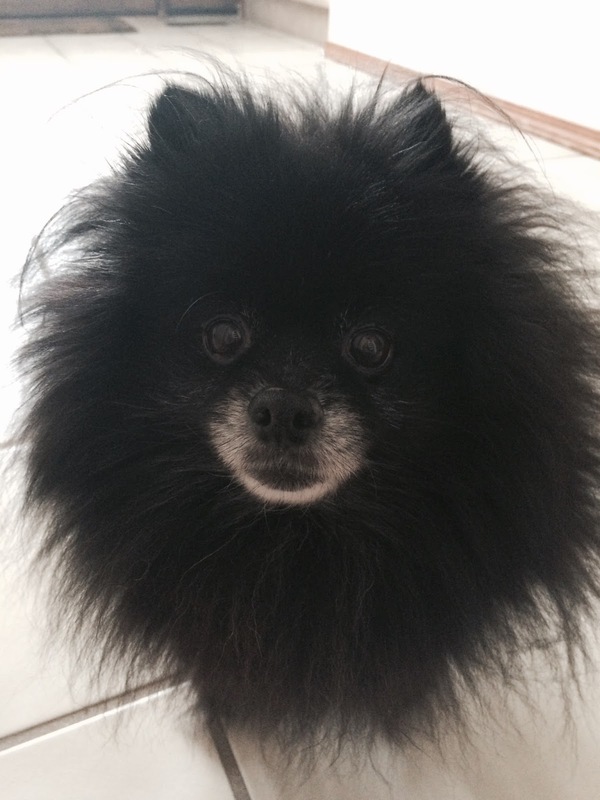 "We contacted Paw Healers to inquire about herbal treatment for our pom(Frankie). Frankie is a 10 yr old pom, and was rescued from a puppy mill in Missouri , then boarded a plane for New York, then from there he made it to his home in Ct. Frankie suffers from trachea collapse. He was getting so bad he wasn't sleeping through the night and either were we.The last thing we wanted is to give him a whole bunch of strong medications, and watch him sleep the rest of his life away. 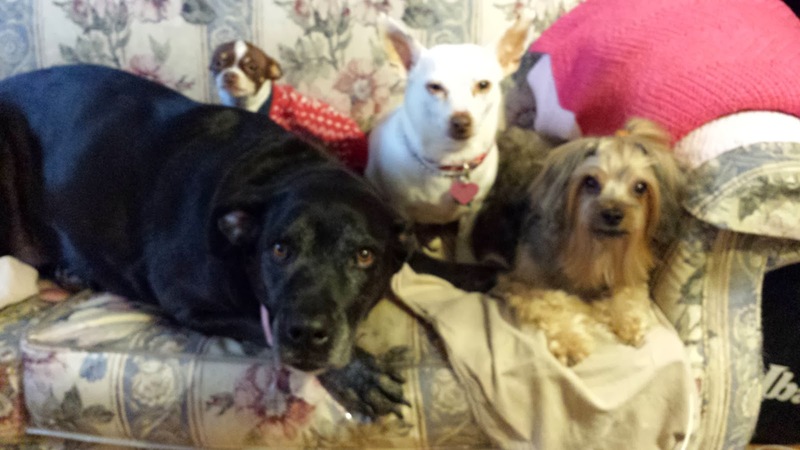 So when we contacted Paw Healers we were so surprise to get a phone call from them. The gentleman named Mark called and he was so knowledgeable and directed us what treatments he suggested for Frankie. Before Hanging up he said that if we ever needed him to just call anytime. This Blew me away, he wasn't even sure if I was going to buy their product and here he was truly concerned and dedicated to helping us. So we brought the suggested products and as soon as we received them we started to use them, and to our astonishment Frankie's cough started to subside. 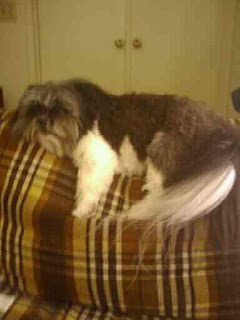 He still coughs now and then, and we have talked with mark and are doing a combo with another herbal product and looking forward to giving Frankie many more years with us with the help from Paw Healers. We would have been totally devastated over Frankie's health if it were not for Paw Healers and I would recommend their product to others and will recommend their products to our vet. THANK YOU PAW HEALERS."" Pawhealer's Cough Remedies for Cough Help Harry the Mountain Dog.. Thanks so much to Betty from Sherman Oaks for sharing her story! This is the first time we received feedback from Betty...I was happy to receive the story, however it concerns me that Harry has to continue with the herbs. So, I went and looked up Harry's order to find that we have never received a cough survey. I have an e mail into Betty, because I am sure if we do a pattern survey on Harry, we can get rid of this cough all together. 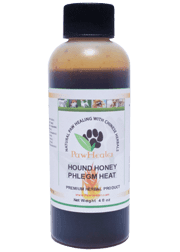 There are many factors that help to get rid of a chronic dog cough...first and foremost is the food that is fed to the dog, then if its processed, we have to add enzymes to help manage phlegm, and thirdly and really really important is that we make sure we have the right cough pattern formula! We are happy Harris is better...but I hope Betty gets back to me, so we can tweak the formula and get Harry phlegm free! Chiquita was very ill and I did not know what to do with her. I found Paw healer's site and saw the stories on their site of how peoples pet's got better after using their products. I placed an order for several of the products and with in days I saw such an improvement in Chiquita especial at night she would be gagging to the point I thought she was going to die. But I so happy Chiquita is able to live a pretty normal happy life again. Thank you Paw Healers. Thanks so much Liz G. We love to hear of these stories. Baiscally Chiquita had a bunch of phlegm and we helped Chiquita and Liz by putting her into proudcts that dry up that wet moist stuff...we call that Phlegm and Damp! So many little dogs have this problem, mainly due to digestive issues related to the processing of todays pet food. Make sure you vist..www.PawHealer.com for customized pet herbal and supplement recommendations.